M. Brett Jensen has been a founding member of Ensign Development Group since 2004. 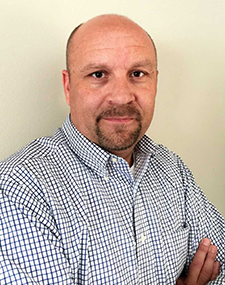 Brett got his start in Real Estate Development in 1997 as a project manager developing grocery store sites throughout the Intermountain West in the Store Development Department of Associated Food Stores in Salt Lake City, UT. Brett has been involved in developing over 2 million square feet of commercial real estate throughout the United States including, retail, office, industrial and educational facilities. Brett has over 20 years of experience in commercial real estate development with a unique expertise in the leasing, financing and construction portion of the development process. Brett is also a partner in and serves as the Director of Client Relations for Certeza Asset Management, an asset management group and hedge fund that specializes in alternative investments with an expertise in commodity futures trading. Brett has also been a partner in several retail businesses and continues to work as a small business consultant with expertise in operations, human resources, and financial management and accounting. Brett received his bachelorette degree from Utah State in Marketing Education from Utah State University in 1996 and a Master of Business Administration from Utah State University in 1999.